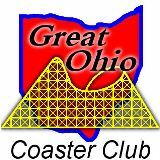 Inclusion in this section should not be considered as an advertisement or an endorsement by the Great Ohio Coaster Club, its Directors, Officers or its Members for the respective park, event or the organization holding the event. The articles and events listed below are strictly for the information of our members who may wish to be informed of this information. Cedar Fair’s Vice President of Food & Beverage Nancy Hamlin is currently nominated for the Leukemia & Lymphoma Society (LLS) Woman of the Year Award, and on a mission to help change lives battling with blood cancer. Nancy has been running to raise funds for LLS research after losing both sisters and parents. Nancy is on a mission to help raise over $300,000 towards research and treatment for LLS. Every dollar raised plays an important role in the mission to helping find a cure. Nancy, in cooperation with Carowinds, has created an exciting new exclusive opportunity to rent out the amusement park for 2-hours with 100 of your closest friends with the proceeds going to LLS. The Carowinds Coaster Showdown will give you private access to the park with exclusive ride time on Copperhead Strike, Mountain Gliders, and Fury 325! Bidding is currently open now until May 5, 2019 at 11:59 pm. The winning buyer will receive access to Carowinds for 100 guests, including admission and parking! This is an incredible opportunity for area companies to have their summer picnics and provide their employees exclusive access with no other guests. How many rides would you take given two free hours to ride Copperhead Strike, Mountain Gliders, and Fury 325? You may get to the auction site by Clicking Here. Kentucky Kingdom Celebrates 30th Anniversary! WHAT A THRILLING RIDE IT’S BEEN ...KENTUCKY KINGDOM CELEBRATES 30YEARS OF FUN! Louisville, KY -Nestled in a town known for bourbon, race horses, fried chicken, and the legendary Muhammad Ali,Kentucky Kingdom, an amusement park and water park, is gearing up to celebrate its 30th anniversary in 2019. The park will open for the season on Sunday, April 28. The park’s roller coaster history, with ups and downs, challenges faced, and accolades received along the way, is one of the great comeback (and comeback again!) stories in the amusement industry. In the summer of 1987, the original Kentucky Kingdom, a small 10-acre park,was opened by a group of Texas investors.Between an unseasonably wet and hot summer and overzealous hype from the operators(the park’s small size and ride selection did not measure up to its pre-opening advertising campaign, which centered on “Disney Comes to Kentucky”). As a result, the inaugural season lasted a grand total of six weeks before the park was forced to close due to poor attendance. The park remained closed for two years, but the 1990’s brought a new owner, Louisville businessman Ed Hart, and a new era of growth. Although he might be the only amusement park owner in the world who suffers from motion sickness and doesn’t like to ride rides, Hart broke new ground inthe amusement industry, including introducing North America’s first suspended looping coaster (still in operation today at Kentucky Kingdom). He was also one of the first to build a water park as an integral part of an amusement park, rather than as a stand-alone, separately gated attraction. In other words, only one admission price was charged for both parks.Throughout the tenure of Hart and his team in the ‘90’s, the humble 10-acre park grew to more than 63 acres, attendance rose from 130,000 visitors in 1990 to 1.2 million in 1997, and the park received numerous awards and recognition as the fastest growing theme park in the world. Following its sale to a national theme park operator in 1998, Kentucky Kingdom’s attendance slowly began to dwindle,and the park once known for introducing first-of-a-kind rides and other innovative concepts began to stagnate. Arguably the park’s most impressive marquee attraction of the 1990’s, the stand-up steel coaster called Chang, was removed at the end of the 2009 season. This was ostensibly to make room for new water park attractions, but in reality,it was the final nail in the coffin, as the national operator shortly thereafter filed for bankruptcy and abruptly closed and abandoned the park. The park remained closed until a group of investors from Louisville, including Hart, came to the rescue. They were encouraged by a group called “Save My Park,” which was formed by hundreds of former guests and employees of Kentucky Kingdom who wanted to see the park reopened and put pressure on both state and local government officials to do so.The investors (Hart, Ed Glasscock, Bruce Lunsford, and the Al J. Schneider Company, a major Louisville hotel operator) brokered a deal with the state to invest at least $42.5 million to redevelop the park, with an additional investment of $70 million over the course of the 50-year lease. As it happens, over the course of only five years, their investment has already exceeded $64 million. Hart and his team reopened the “bigger, better, and wetter” Kentucky Kingdom in the summer of 2014 and have continued the proven strategies of the park’s 1990’s "golden era." The water park (Hurricane Bay) was doubled in size and many new rides and attractions were added. They include Lightning Run, a first-of-its-kind Hyper GT-X steel roller coaster; Deep Water Dive, the second tallest body slide in the world with a Skybox™ launch (in 2017, Universal Studios installed one that beats this height record by only one foot); and Storm Chaser, the first coaster in North America with a barrel roll drop right off the lift hill, named second best amusement ride in the world in 2016 by Amusement Today. To celebrate its 30th anniversary, Kentucky Kingdom is adding its sixth coaster, the Kentucky Flyer, one of the most anticipated new rides in the amusement industry in 2019. With this addition, Kentucky Kingdom has introduced three new coasters in the past five years. As Hart likes to say,mimicking a famous line from a 1990’s political campaign, “It’s the coasters, stupid!” Besides the coasters, however, Kentucky Kingdom has added 24 new attractions since reopening, as well as many new amenities for its guests. Now the proof is in the pudding. The new Kentucky Kingdom is once again among the top tourist destinations in the state. What else is in store for Kentucky Kingdom? If you ask Hart, he'll tell you, "Hang on! It's going to be a great ride!" GOCC Will be having our Mid Summer Scream event here on August 17th... Watch the website for details. Our friends at Carowinds have passed along a POV video of their new Copperhead Strike coaster to share with you... Will you be riding it this summer?